We have iterated the Digital Service Standard to make it clearer. Over the past year we’ve researched, validated, tested, iterated and assessed and we’re moving the Standard to its live stage. It’s what we think “good” looks like for digital services. There are now 13 criteria covering all the areas essential to making a great digital service. It sets out the requirements for services: to have a strong understanding of user needs, adopt an agile approach to technology and delivery, and have the capability to support and iterate the service on an ongoing basis. (6) Build the service with responsive design methods using common design patterns and the style guide. We want to build services to be responsive, using common design patterns and a style guide, to make things consistent and accessible for users. DTO is working with designers across government to create GOV.AU Guides that will include interaction design patterns and visual styles. You should use interaction design patterns from these guides as they are developed and take on the visual style if your service will be available from GOV.AU, or in the absence of an existing agency visual style guide for digital. Designers in government can participate in the development of the style guide by emailing a request to join the Service Design Community. The requirement for responsive design (previously 9) has been merged into criterion 6. We’ve developed guidance that sets out the specific KPIs, and we learnt that there are many more measures and metrics that are relevant to the performance and transformation of services. It’s important that those are captured. This gives service teams flexibility to identify and apply more metrics appropriate to the service. All services once in their Beta stage report their KPI’s and service metrics on the performance dashboard. (14) Make sure that the service is simple enough that users succeed first time unaided. During each assessment, we learnt that if all the other criteria are properly addressed, the service will be simple enough that users succeed first time unaided. To help service teams apply the Standard, we’ve developed new pages for each criterion. These set out the things you’ll need to do to show how you are meeting the Standard. From today, the Standard comes into force and all services within the scope of the Standard that are new or will commence redesign must meet the Standard and be assessed. 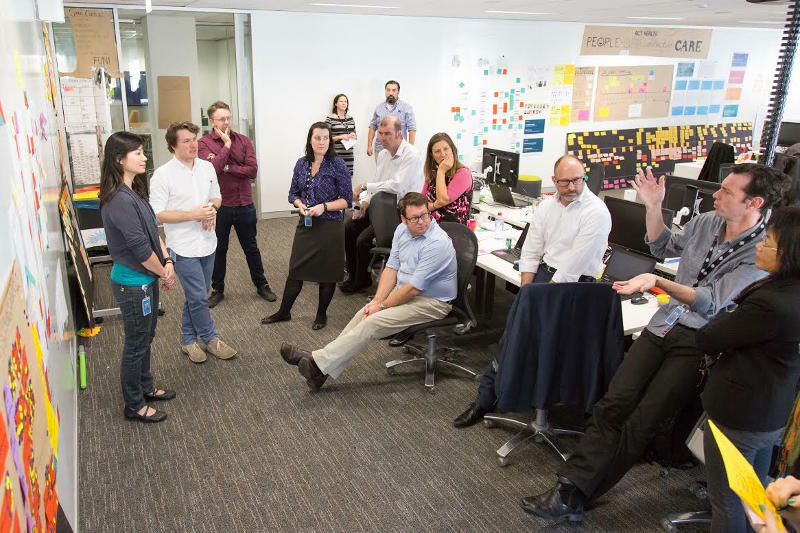 We’ve spent 5 months testing the Standard as part of the Digital Transformation Program and we’ve made improvements to the way we assess services. We’re now assessing services continuously while they’re inflight. Agencies already applying the Beta Standard won’t be assessed against the updates, but you will see that the fundamentals remain the same and the changes are evolutionary not revolutionary. The DTO is running First Friday training sessions for Australian Government agencies from 3 June 2016. We’ll run two sessions each month - Introduction to the Standard and Inflight Assessment, and assessor training for those wanting to learn how to be an assessor. It is recommended that you attend Introduction to the Standard first, as knowledge of the Standard is presumed in assessor training.